COSEWIC. 2008l. 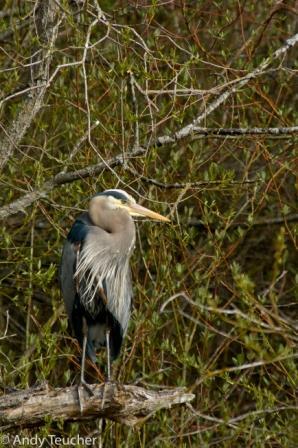 COSEWIC assessment and update status report on the Great Blue Heron fannini subspecies Ardea herodias fannini in Canada. Committee on the Status of Endangered Wildlife in Canada. Ottawa. vii + 39pp. Gebauer, M.B., and I.E. Moul. 2001. Status of the Great Blue Heron in British Columbia. B.C. Minist. Environ., Lands and Parks, Wildl. Branch. Working rep. WR-102. 66pp. Ministry of Environment. 2008. Develop with Care, Great Blue Herons Fact Sheet #11. Environmental Guidelines for Urban and Rural Land Development in British Columbia. 2 pp. 1998. The Great Blue Heron. B.C. Minist. Environ., Lands and Parks, Wildl. Branch. 2pp. Butler, R.W., and P.D. Baudin. 2000. Status and Conservation Stewardship of the Pacific Great Blue Heron in Canada. Pp. 247-250 in L.M. Darling, ed. 2000. Proc. Conf. on the Biology and Manage. Species and Habitats at Risk, Kamloops, B.C., 15-19 Feb., 1999. Vol. 1; B.C. Minist. Environ., Lands and Parks, Victoria, BC, and Univ. College of the Cariboo, Kamloops, BC. 490pp. Chatwin, T., S. Bonar, and M. Kissinger. 2006. Pacific Great Blue Heron Population and Monitoring Vancouver Island and the Gulf Islands 2005. Prepared for B.C. Minist. Environ. and the Heron Working Group. B.C. Minist. Environ., Wildl. Working Rep. No. WR 110. Nanaimo, BC. Vennesland, R.G., and R.W. Butler. 2004. Factors Influencing Great Blue Heron Nesting Productivity on the Pacific Coast of Canada from 1998 to 1999. Waterbirds 27(3): 289-296.